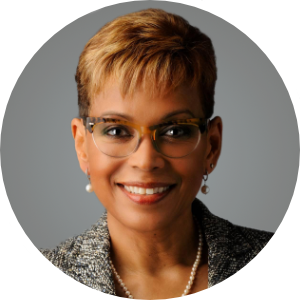 Collete English Dixon has more than 30 years in investment management with a focus on commercial real estate investing. Prior to her current role at Roosevelt University, she was Executive Director – Transactions for PGIM Real Estate (formerly known as PREI), a business unit of Prudential Financial, and co-leader of PREI’s national investment dispositions program. In that role, she oversaw the sale of more than 200 investment properties located throughout the US, with a total value of more than $8.7 Billion, on behalf of PREI’s investment funds. Prior to her role in dispositions, English Dixon was responsible for sourcing more than $2.75B of wholly-owned and joint venture real estate investment opportunities in the Midwestern markets covering all property types, including office, multi-family, hotel, industrial and retail properties. Collete’s experience also includes property development and asset management.